A publication of the American Institute of Physics (AIP), Biomicrofluidics is a sister publication to other highly regarded, peer-reviewed journals, including Applied Physics Letters, Journal of Applied Physics, and The Journal of Chemical Physics. The publication reports research in fundamental physiocochemical mechanisms associated with microfluidic and nanofluidic phenomena, including techniques for diagnostic, medical, biological, pharmaceutical, environmental and chemical applications. Since its founding, not only has Biomicrofluidics become the highest ranked original journal in the ISI Fluids & Plasma Physics category, but it has also become the second highest ranked microfluidics journal, largely in part to Chang’s vision and leadership. It was the first of AIP’s journals to be solely published online. 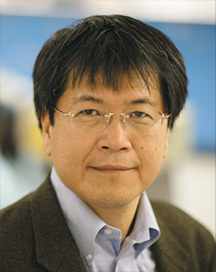 Chang established the Biomicrofluidics-affiliated conference series Advances in Microfluidics and Nanofluidics, installations of which have been hosted around the world. He also oversaw the growth of the publication and played a key role in developing and hosting the AIP Horizons: Targeted Nucleic Acid Detection and Delivery Conference. And he has accomplished all of this while also conducting cutting-edge research, mentoring graduate students, and serving as chief scientific advisor to F Cubed, LLC, a biotechnology in South Bend. Biomicrofluidics has grown along with the field, as numerous microfluidic technologies are now being used in commercial products. Additionally, microfluidic technologies are being used in the fledgling field of tissue engineering via cell media circulation, molecular biomarker sensing, and more. As much as the microfluidics field has grown, Chang envisions even more developments to come in diagnostics and therapeutics, wearable devices, targeted drug delivery, and any number of applications that he believes could launch the next industrial revolution. In fact, he’s headed back to the lab and research full time in order to be on the front lines of some of those new discoveries. Chang has been a faculty member at the University of Notre Dame since 1987, where he also serves as director for the Center for Microfluidics and Medical Diagnostics. A leading researcher in micro/nanoflidics, particularly in the area of nano-electrokinetics, Chang is known for his creative contributions across several disciplines, including reaction engineering, control, fluid mechanics, soft materials, and biosensing. Three start-ups have licensed his technologies and are currently developing them for commercial use. He is a fellow of the American Physical Society (APS) and has received many awards over the years, including the APS Francois Frenkiel Award for Fluid Mechanics and the Presidential Young Investigator Award from the National Science Foundation. Chang is the author of Electrokinetically Driven Microfluidics and Nanofluidics and Complex Wave Dynamics on Falling Films, has delivered over 20 keynote lectures, and authored more than 260 journal publications. Originally published by Nina Welding at conductorshare.nd.edu on January 24, 2019.